Cay'an was a Green Martian who through unknown means survived the plague that struck down almost all sentient life on her home world, including her entire family. Cay'an recognized that Ma'alefa'ak was behind the engineered tragedy, but he was presumed dead after a final confrontation with his brother, J'Onn J'Onzz. Since J'Onzz was a Manhunter, responsible for protecting the people of Mars, Cay'an held him accountable as his brother's keeper. However, J'Onzz was teleported against his will to the planet Earth, robbing Cay'an of her planned vengeance. Cay'an spent years searching, and upon learning J'Onn J'Onzz was on Earth, lay in wait. She began developing and implementing a massively complex scheme to draw out and isolate the Martian Manhunter. Cay'an stealthily captured a group of White Martians at some point, presumably from amongst the numbers released from the Still Zone in recent years following millenia imprisoned in the other-dimensional limbo. She then managed to brainwash the Whites into believing themselves to be Green Martians with the aid of Kuru pendants. Cay'an assumed an unknown number of human identities, including that of a rogue agent who sold the "Green" White Martians to a clandestine U.S. government research project. Cay'an's best known identity was that of Sara Moore, a scientist with S.T.A.R. Labs who secretly became romantically involved with a fellow researcher, Alex Ferguson. Whether Moore was an invented identity or a living human replaced by Cay'an is unknown. At a point when the Justice League of America had disbanded, and the heroes Superman, Wonder Woman, Batman, Robin and Nightwing had disappeared, Cay'an initiated her plot. Above an Arizona desert research site presided over by Ferguson, Cay'an planted a Kuru Pendant inside a meteorite, and tossed it to Earth. 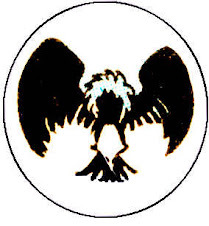 The pendant was discovered by Ferguson, who had been in contact with D.E.O. agent William Dyer, a cover identity of J'Onn J'Onzz. Cay'an then presumably tipped her primary government contact, the head of Homeland Security. Keane sent his agent Rio Ferdinand to acquire the pendant and eliminate any obstacles with extreme prejudice. On the run from this assassin, Ferguson contacted Dyer and gave him the pendant before eventually being killed. J'Onzz launched an investigation, but was briefly sidetracked by a battle with the mad dictator Black Adam. 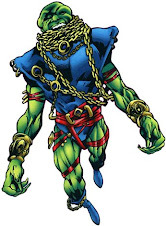 During their conflict, J'Onzz's psyche was fractured by a mental assault, which caused him to radically alter his public persona to more closely resemble his natural form. J'Onzz began acting erratically, expressing anti-human sentiment, and generally displaying aggressive, obsessive behavior. This caused unease among the humans J'Onzz once protected, and even his fellow super-heroes, a boon to Cay'an's plans. The Kuru pendant led J'Onzz to the clandestine project, where he liberated the five captive Martians whom he believed were survivors of his own race. 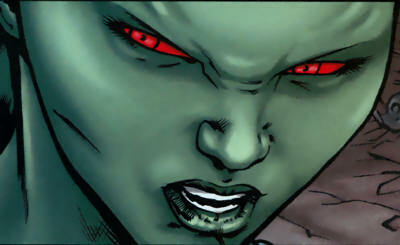 Cay'an then used her hold over the "Green" Martians to track and manipulate the Martian Manhunter, setting him directly against his former heroic allies in service to protecting the Martians. Further, Cay'an had herself placed is seeming peril in her Sara Moore persona, allowing herself to be "rescued" by the Martian Manhunter and drawn into his collective of refugees. Alienated from Earth's heroes, J'Onzz also had to contend with the reemergence of the White Martians' true identities, that being participants in a race war against J'Onzz's own. 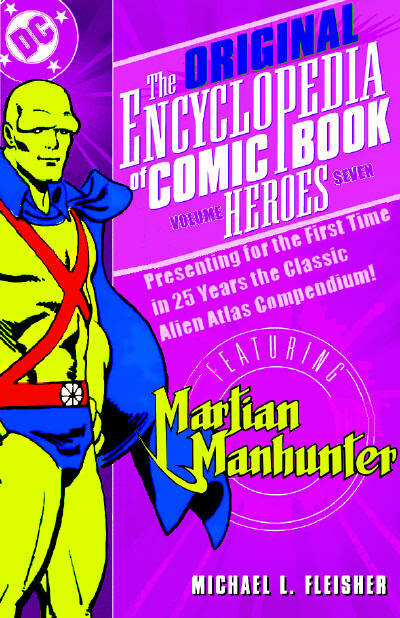 One of the White Martians was unintentionally killed, and the rest subdued by the Martian Manhunter. 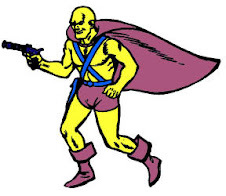 Till'all, the youngest and most idealistic of the White Martian group, retained a psychic connection to Cay'an, which J'Onzz used to lure her from out of hiding. Confronted by J'Onn J'Onzz while flying in her Sara Moore form, Cay'an finally revealed herself and her plans, before attempting to destroy J'Onzz directly. After a brief battle, Cay'an vanished following the explosion of J'Onzz's and her psionic pulses impacting against one another. Cay'an has exhibited the powers of telepathy, flight, shape-shifting, a superhuman physique, and a devastating psionic pulse of destructive telekinetic force out the palm of her hand. Cay'an would presumably possess the full compliment of Green Martian abilities, including invisibility, intangibility, and heightened Martian senses. Although not been demonstrated in Cay'an, Martians generally suffer from ataxia, overwhelming fatigue, decline in powers, and potential death in the presence of open flame. Quote: "It was your brother who unleashed the plague. Your brother who wiped out our entire civilization. You could've stopped it. You could've prevented it all... Because he was your brother, you extended him a trust that was unearned and unwise! ...Your obligation was to your people, not your brother! ...YOU SHOULD'VE KILLED HIM WHEN YOU HAD THE CHANCE!" 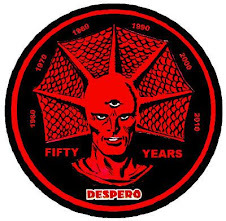 Right now Despero and Malefic are trying to figure who invited Cay'an to the vile menagerie party. Despero: "I swear you guys I didnt invite her"
Malefic: "Well it wasnt me"
Seriously though, I think Cay'an could be cool in the right hands; In my personal idea of Mars, different Martians have different powersets depending on what they work on and The more well rounded ones (like J'onn) would be police/military leaders and would draw the ire of fellow survivors as lightning rods for blame in a near genocide like Mars experienced. Unfortunately, this series's execution was atrocious, and now no one cares. Harsh James, but not inaccurate. Everyone washed their hands of this thing fairly quick. M.C., I haven't posted any other profiles yet of the major characters because I'm still trying to parse stuff out. The only reason Cay'an made it out the door is her big "reveal" in the last issue laid out enough of a framework to kinda sorta connect disparate dots. Still pure nonsense though. 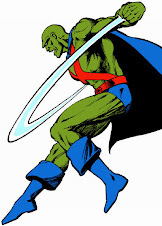 How do you feel about Miss Martian?